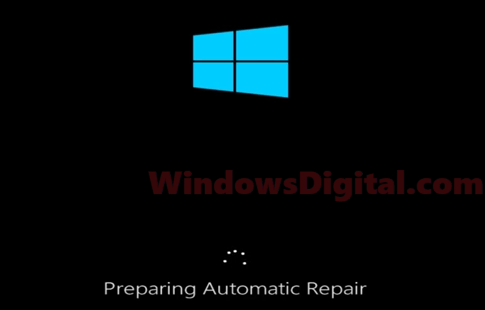 If you are stuck in a continuous loop of which your computer run into the Preparing automatic repair Windows 10 black screen that attempt to perform startup repair for Windows 10, but will always end up showing Your PC did not start correctly or Windows 10 Automatic Repair couldn’t repair your PC error message. No matter how many times you try to restart your PC, it boot right back to the preparing automatic repair Windows 10 black screen. The startup repair just keep on repeating but couldn’t repair anything. Basically, the automatic repair loop indicates that your Windows 10 boot files or system files are either corrupted or missing. This problem can be caused by software changes such as after Windows Update, virus infection or unknown conflicts between software such as antivirus software. It could also be hardware failure that triggers the loop, especially hard drive, graphic card or RAM failure. This guide will show you what you can do in this particular situation, and how to possibly repair Windows 10 without losing files. Since the issue directly relates to Windows 10 boot files and possibly system files, you should try to run a series of common repair tools by command such as system file check command to automatically scan and repair system files, chkdsk tool to check for disk error, DISM to repair Windows 10 image, and bootrec.exe to repair Windows 10 boot problems. To learn how to repair Windows 10 using command prompt without booting into Windows, read: How to startup repair Windows 10 using command prompt. 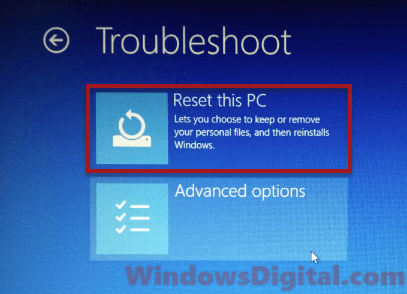 If none of the tools you’ve executed in command prompt works to fix the preparing automatic repair Windows 10 loop problem, you can then proceed to do a system restore, rollback or reset for your Windows 10. These options will be available when you enter Windows Recovery Environment. To boot into Windows recovery, when you’re on the preparing automatic repair Windows 10 black screen, wait for it to finish diagnosing your PC. When it returns the Your PC did not start correctly blue screen error, instead of clicking Restart, click on Advanced options. Then, select Troubleshoot to access to all the recovery options available to you. Here’s what you can do. If you have just installed a major Windows Update and immediately after that, your PC ran into the preparing automatic repair Windows 10 loop problem. Try to roll back Windows 10 update to an earlier version. You can do this by navigating to Troubleshoot > Advanced options > Go back to the previous version. 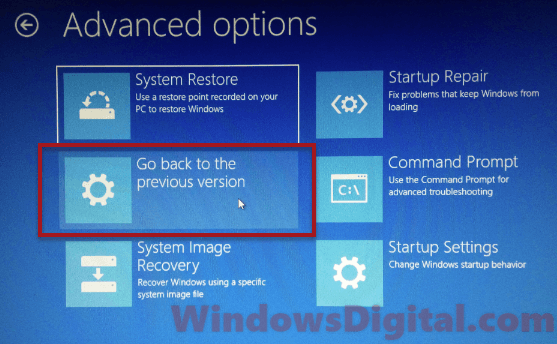 If the Go back to the previous version doesn’t appear as an option, and if you have a restore point or a recovery drive created prior to the happening of the “preparing automatic repair Windows 10 black screen” problem, you should try to system restore Windows 10 to an earlier date. You can do this by selecting Troubleshoot > Advanced options > System Restore. If you don’t have a restore point or a recovery drive, system restore will not be possible. The only option left is to reset Windows 10 to factory settings. The reset of Windows 10 will allow you to keep your files and only reinstall the Windows 10 system files. So, you can actually reinstall Windows 10 without losing any file. To do this, navigate to Troubleshoot > Reset this PC. Description for sharing: If you're stuck in the Preparing Automatic Repair Windows 10 black screen loop and receive the "your PC did not start correctly" error, no matter how many times you restart your computer, here's how to fix it.